Otto and Myrtle Herman's little boy Woodrow loved to perform. That was fine with the proud Papa, and Otto encouraged Woody as he appeared in Vaudeville as a child singer and tap-dancer. However, at the age 11 Woody picked up a saxophone and clarinet and saw the direction his life would go. Within four years he was playing professionally. After playing in the early 30's with outfits like the Tom Gerun band and the Harry Sosnik orchestra, Woody joined the Isham Jones Orchestra in 1934. Jones was recording for Decca at the time, and became convinced that he could live comfortably off his residuals. With Jones bowing out, Woody saw an opportunity to lead his own outfit. The group stayed with Decca, mostly recording covers of other Decca acts in a blues format. In fact, they were often billed as “The Band That Plays the Blues”. In time, they developed a unique style and in 1939 recorded “Woodchopper's Ball” which would go on to be Herman's biggest hit. The Band That Plays the Blues is featured in this collection in the 1940 remote broadcast from New York's Famous Door club. In 1942, Herman hired bebop trumpeter Dizzy Gillespie to write a series of arrangements. 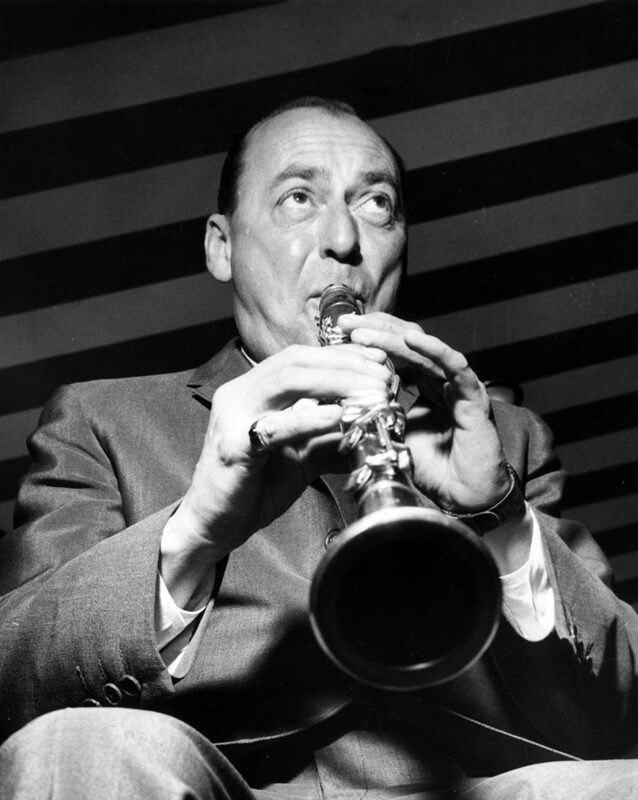 This was seen as a pivotal point, not only for Woody Herman's sound but Jazz as a whole. Swing, with its easily danceable melodies was falling from popularity in favor of a style which demanded to be listened to rather than danced to. After a series of personnel changes the band became Woody Herman's Herd. Heavily influenced by Duke Ellington and Count Basie, the Herd was known for lively arrangements that combined swing rhythms and bebop themes. 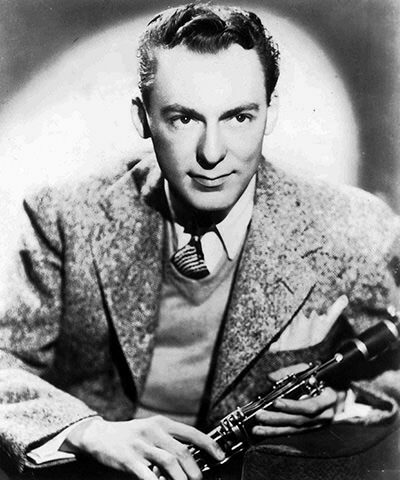 The Woody Herman Show began broadcasting on ABC (and rebroadcasting over AFRS) in the fall of 1945. The show featured the Woody Herman Herd, Herman on vocals and clarinet, girl vocalist Frances Wayne and comic relief with bassist Chubby Jackson (whose tag-line was “Now you hurted my feelings!” A feature of the program was “Tops in the Jukebox” which allowed the Herd to cover two of the week's most popular jukebox tunes (according to Downbeat Magazine's charts). In time, the band evolved into a Second and Third Herd, and a New Thundering Herd. By the 70's, Herman began dedicating himself to Jazz education and developing new artists, earning the nickname “Road Father”. Woody continued to perform into the 1980s, largely because he owed millions in back taxes due to a business manager's bookkeeping error. He was awarded the Grammy Lifetime Achievement Award in 1987 just before passing away. Be the first to comment on "Woody Herman"
Old Gold Show 440922 Jackie Gleason, Woody Herman Orch.